Two months ago we invited two Course Leaders from Burton & South Derbyshire College to visit our factory to discuss a steel donation to help welding students with their practical skills. 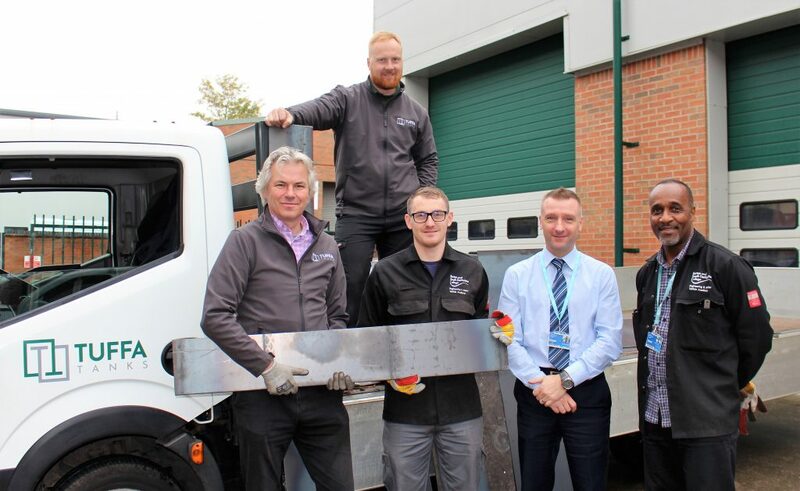 As a result of that, last week Tuffa’s Steel Workshop Manager, Martin Maras and Mike Salmon from our marketing team loaded up the Tuffa flat-bed truck and made the short journey to Burton to make the off-cut steel donation. Mike Salmon making the steel donation to Course Leader, Tom Syson, with Deputy Director of Curriculum, Peter Brochocki and Workshop Technician, Carlton Thomas. Tuffa’s Steel Workshop Manager, Martin Maras, looks on from the truck. 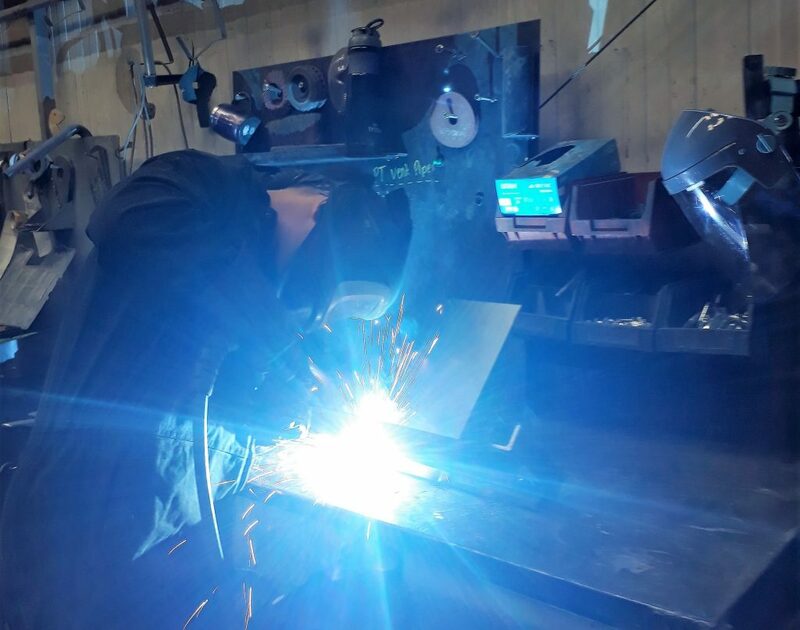 We manufacture a range of bespoke and standard steel tanks in 6mm mild steel in capacities from 900 up to 180,000 litres, and have various sizes of off-cuts in our steel workshop. 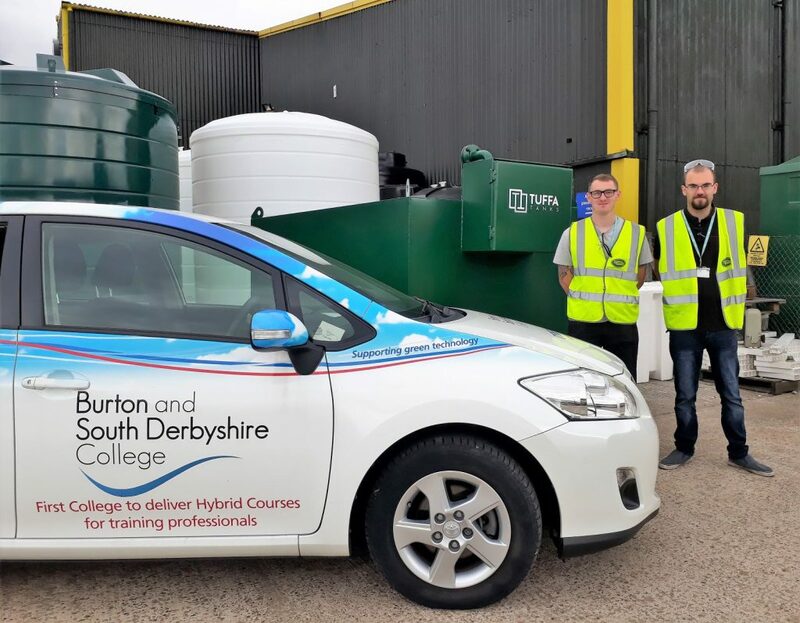 If you would like to get involved in a similar community initiative with Tuffa UK, please contact us here or call Mike or Charlie in our marketing team on 01889 567700.